This GLM 750 bbl Sales Tank for $15,000 can be viewed in our Lloydminster, Alberta yard. Please call 1-855-5CALROC (225762) or use our contacts page if you have any questions. GLM Tanks Division designs and manufactures to all industry standards for above-ground storage tanks (traditionally API-12D, API-12F, API-620, and API-650). 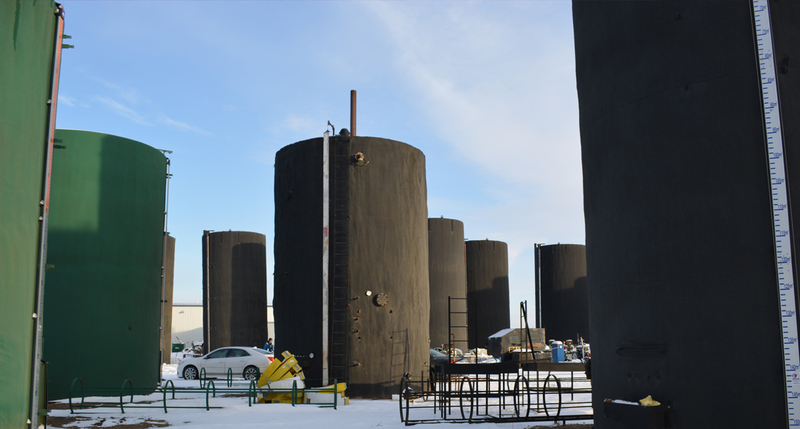 Whether it be single wellhead heavy-oil storage, rental tanks, oilsands facilities, refinery tank farms, or specialty applications such as chemical or water storage, G.L.M.’s 30+ years of product evolution ensures a high quality, reliable product every time. G.L.M. Industries L.P. proudly recommends and supplies Enviro Vault spill containment systems to our customers for their design needs. Need more information? Ready to place an order?